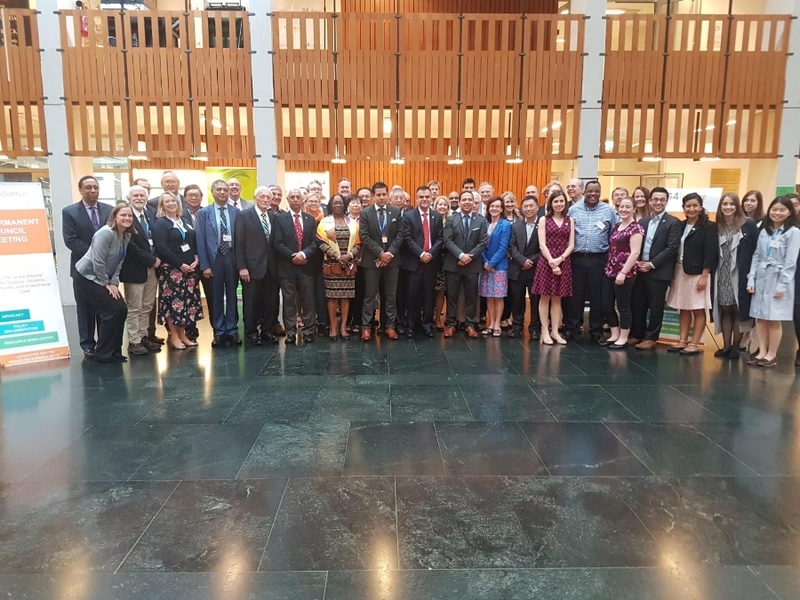 The global surgery network came out in full force for during this year's World Heath Assembly (WHA). In addition the largest global surgery WHA delegation on record, there was no shortage of advocacy events highlighting the cross-cutting nature of surgical care as part of the global health and development agenda. Keep reading for a summary of global surgery campaigns and events hosted in parallel with the WHA. On January 22-27, 2018, the World Health Organization (WHO) Executive Board met in Geneva to review the WHO's plan of work for the next 5 years. The Draft Thirteenth General Programme of Work (2019-2023) represents a guiding document that determines the priorities and scope of work of WHO for the years to come. The G4 Alliance launched a campaign with our members to ensure the explicit inclusion of safe and effective surgical, obstetric, trauma, and anaesthesia care as part of this plan. We submitted a letter of support to WHO Director-General Dr. Tedros on behalf of the G4 Alliance network and called upon Member States to prioritize this issue as well as the collection of national surgical and anaesthesia indicators. In the original draft of the WHO Programme of Work circulated in November 2017, surgical care was not included. However, thanks to the collective advocacy of our network and surgical care champions, the latest version includes a mention of "safe and effective surgery" as an essential component of primary health coverage. Additionally, surgical indicators were included in the 2018 Core Indicators reference document which includes health-related indicators relating to the Sustainable Development Goals. Around the world, women and girls are disproportionately affected by lack of access to safe surgical care - but why? And how can we close this gap for the advancement of women everywhere? In the lead-up to WHA71, the G4 Alliance, GE Foundation, the Partnership for Maternal, Newborn & Child Health, Women in Global Health, and Safe Surgery 2020 hosted a #TwitterChat to discuss pressing questions about women and safe surgery with the global health and global surgery community. Safe surgery is necessary for women's health and economic and social empowerment. We must increase access to save women's lives. Barriers to women in global surgery are social, economic, and geographical, both as patients and as healthworkers. Investing in the healthworkforce, and prioritizing women's leadership within the healthworkforce, is key to overcoming these barriers. To address gender inequities in global surgery at the individual and institutional level, we must collect data on women in global health and global surgery. Does your organization have data on women as part of the surgical health workforce? Share your findings as part of this WHO-led report! Thanks to all for your participation and your insights! On May 21st, 2018, more than 200 people gathered to hear from global surgery and women's health champions on the essential role of safe surgical care in advancing women's health. President Michelle Bachelet and Dr. Edna Adan share a smile during the #SafeSurgery4Women panel. Speakers discussed how innovation is critical to ensuring surgical care is accessible and affordable in low-income countries with high maternal and newborn mortality rates. They explored the role of female providers in safe surgery, obstetrics, and anaesthesia, outlining the challenges for women in those fields as well as strategies for meeting challenges head-on. They spoke to the progress that we have made in advancing global surgery and the distance we still must travel to ensure that all women have access to safe, affordable surgical care to enable a life of full of purpose and power. Dr. Lauri Romanzi and Dr. Bisola Onajin-Obembe discuss the challenges that female health workers providing surgical, obstetric and anaesthesia care often face. We must support women working in global surgery, recognizing the challenges they face and providing proactive solutions. We must support the delivery of safe surgical care for girls and women throughout every stage of their life. We must ensure surgery is prioritized for local health systems strengthening, for national health plans, and for international action. G4 Alliance members met in parallel with WHA71 to discuss advocacy, policy, and resource mobilization. The meeting featured working group reports, networking and presentations, and an array of guest speakers including Dr. Walt Johnson (WHO), Ms. Ellen Agler (The END Fund), Mr. Jim Campbell (WHO), Dr. Roopa Dhatt (Women in Global Health), Mr. Vince Blazer (Frontline Health Workers Coalition) and Mr. Saul Billings. Thank you to all members and observers who joined us in Geneva! Find an in-depth recap of our meeting here. Chair of @theG4Alliance Dr Neil Parsan joins our call for a UN Special Summit on Child & Adolescent Health. Road Traffic Injuries (RTIs) are the leading cause of death among people aged between 15 and 29 years. At this year's World Health Assembly, the Child Health Initiative and the FIA Foundation launched their new report on this global crisis at an advocacy side event hosted with partners including UNICEF, Save the Children, NCD Child & the NCD Alliance, the World Health Organization and the G4 Alliance. These organizations and individuals came together to support a call for a UN summit and integration of road traffic-related health issues into the mainstream child health agenda. Ambassador Dr. Neil Parsan represented the voice of global surgery and highlighted the urgent need for stronger, affordable emergency health services, including trauma surgery, to stem the overwhelming casualties on our roads. 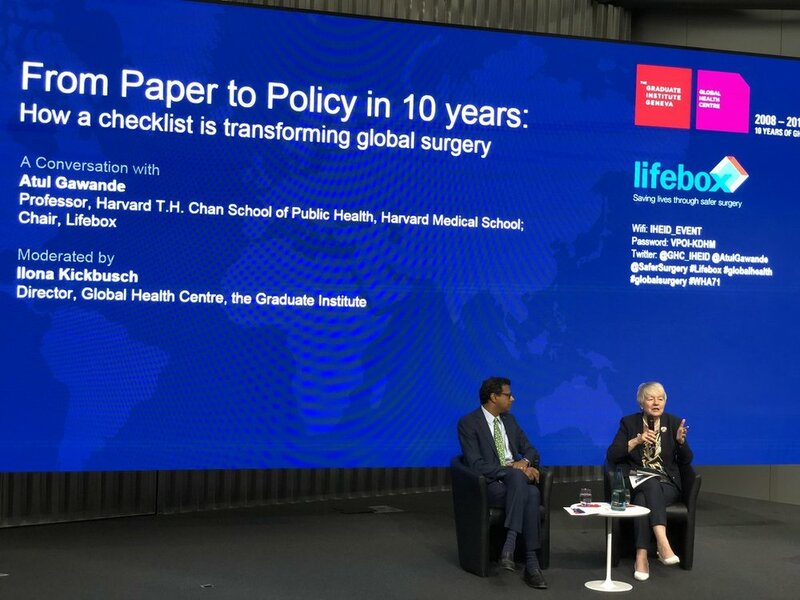 Attendees joined surgeon and author Professor Atul Gawande in a conversation with Professor Ilona Kickbusch, the Director of Global Health Centre, as they considered: How is access to safe surgery fundamental to meeting the SDGs? What influenced the remarkable spread of the WHO Surgical Safety Checklist around the world? What are mechanisms that can promote surgical equity when 5 billion people lack access to safe surgical care? Briefing: How Can We Scale-up Surgery and Anesthesia to Achieve Universal Heath Coverage? 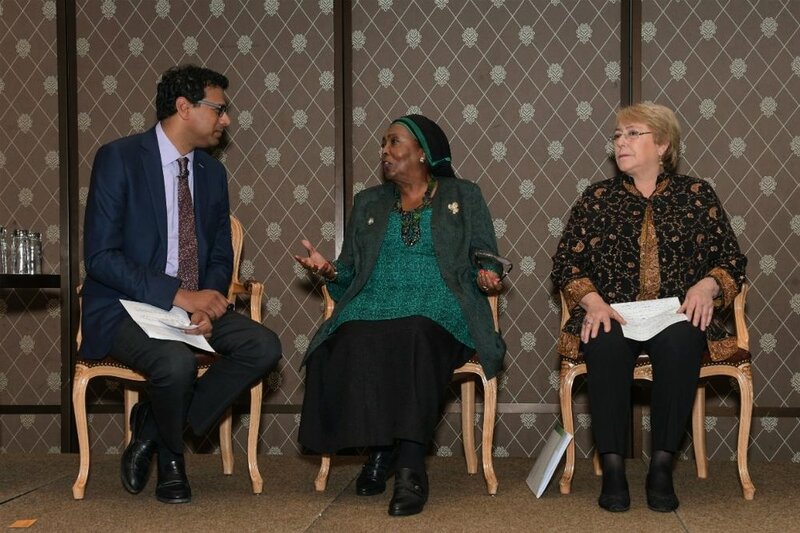 This event featured an expert pane including Dr. Atul Gawande, Dr. Adrian Gelb (WFSA/G4), Dr. Lubna Samad (Indus Pakistan/G4), Dr. Abebe Bekele (Ethiopia), and Mr. Daniel Berman (NESTA). During this session, WFSA announced the first-ever joint WHO and WFSA guidelines to standardize safe anaesthesia. Partners also announced a call for the creation the first ever NESTA Surgical Equity Prize to stimulate solutions for improved surgical care in low- and middle-income countries (LMICs). This open technical meeting brought international experts in global surgery, obstetrics, and anaesthesia together to discuss the development of national surgical, obstetric and anaesthesia plans, from financing surgical care delivery platforms, information management and data, and current and future workforce needs. On May 25, 2015, the same historic year that saw the unanimous passage of resolution 68.15, InciSioN founded Global Surgery Day, a day intended to unite the global surgery community in advocacy and awareness. This year, the theme for Global Surgery Day was "Equity in Surgery", highlighting not only the need for surgical access for 5 billion neglected surgical patients around the world, but also for equity across all aspects of global surgery. Global Surgery Day saw celebrations and presentations across the globe, as well as the launch of a new national working group. InciSioN hosted a Twitter chat in partnership with The G4 Alliance, the WFSA, the Harvard PGSSC, bringing a flurry of social media advocacy for equity in surgery. Read More about Global Surgery Day Here. 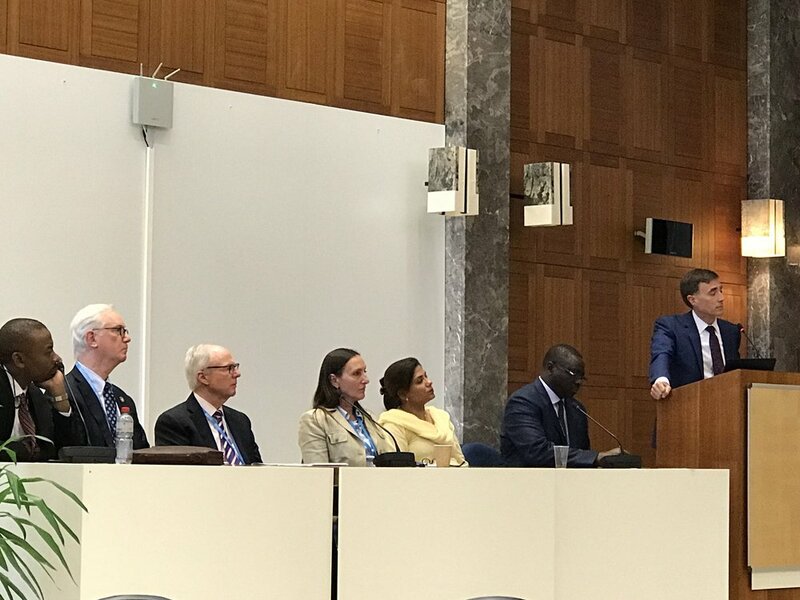 If you would like to share a blog post you have written on a WHA71 Global Surgery event, or give thoughts and comments on a session, please email communications@theg4alliance.org.